My biggest song addiction in 2011: “Better Off Without You” by Summer Camp. I hate ‘best of’ lists. Best songs, albums, concerts, whatever–it makes me anxious. Who am I to decide what the absolute top album was in 2011? I don’t have the chutzpah for declarations like that. Instead, I’ve decided to compile a list of the songs that would not get out of my head in 2011. This is based on my own memories, so some of these songs might not make sense in another context (why is Edward Sharpe and the Magnetic Zeros on there, for example? Easy: Railroad Revival Tour). I tried to keep out a) the really embarrassing ones and b) the absolute dreck–yes, I’ve gotten Rebecca Black’s “Friday” stuck in my head more often than I care to mention, but that wasn’t exactly by choice. Are these my favorite songs of the year? Some of them. But mostly they’re just catchy, head-bobbing, and/or addictive. I’ve made this a collaborative playlist, and I would love to see what you’ve been grooving to in 2011. Without further ado: Earworms of 2011. This entry was posted in Uncategorized on December 2, 2011 by kredcarroll. More information is also available here, and you can watch all the bands’ Pop Up Videos (Bruises’ is above) on Youtube. 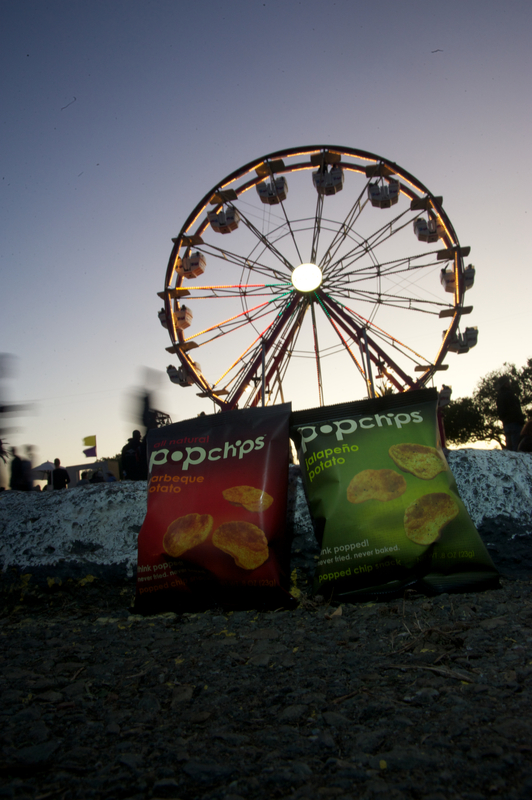 Here’s a snippet of my Treasure Island review, which was posted on The 405. popchips hooked me up with VIP tickets, and I am enormously grateful–it turned out to be an awesome festival experience. ‘If Outside Lands is the monolith of Bay Area festivals, Treasure Island is the cozy cottage next door. Located on the eponymous piece of land between San Francisco and Oakland, the two-day event feels intimate—a word I never thought I’d use to describe an outdoor festival. 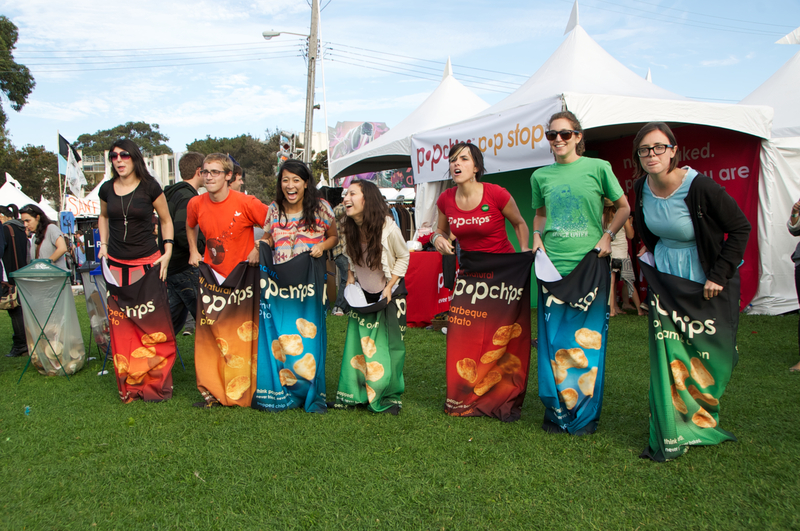 I owe my presence at the festival to popchips, a brand that clearly understands the San Francisco festival crowd: the slogan on their stand read ‘Never baked. But perfect if you are.’ Indeed, popchips. Day One featured Shabazz Palaces, Yacht, Battles, Flying Lotus, Cut Copy, Dizzee Rascal, and more. Day Two featured St. Vincent, the Antlers, the Head and the Heart, Beach House, Death Cab for Cutie, Explosions in the Sky, and a badass ferris wheel. all that and a bag race of chips. This entry was posted in Uncategorized and tagged pop up videos, popchips, sxsw, the bruises, treasure island on November 14, 2011 by kredcarroll. I know, I know, I know. I’ve been rather absent lately. Not only am I a teeny bit late getting this video up, I still haven’t updated you all on the exciting musical events I’ve attended recently: the Laura Marling/Alessi’s Ark show, three days of Hardly Strictly Bluegrass, and Beirut at the Independent. But be patient! It’ll all be up soon. In the meantime, put a wetsuit on (or not, they’re kind of uncomfortable) and watch the results of the Vaccines’ Instagram contest. Which, as readers of my blog may know, is actually the second app-based, crowdsourced music video. This entry was posted in Uncategorized and tagged instagram, the vaccines, wetsuit on October 6, 2011 by kredcarroll. I have a massive girl crush on Merrill Garbus. Who doesn’t? The Oakland artist who performs as tUnE-yArDs released the video for “Gangsta”, and it’s probably the most normal offering yet. Compare the black and white video above to the festive piece for first single “Bizness”. It’s more than the color scheme that’s been toned down, though; this video is the first thing from them that I’ve thought, ‘Yeah, someone else could’ve created that.’ Which isn’t bad. Just–different. This entry was posted in Uncategorized and tagged bizness, gangsta, merrill garbus, tune-yards, whokill on September 26, 2011 by kredcarroll. This entry was posted in Uncategorized and tagged pepper rabbit, red velvet snow ball, the owl mag on August 10, 2011 by kredcarroll. The London riots have been devastating to watch. My heart goes out to the people who’ve seen their lives permanently and horribly altered by this needless violence. I’ve been RT’ing notes about clean-up efforts whenever I’ve seen them, so if you’re on Twitter, please do the same. It’s a tiny thing, but it’s hard to feel like you can help when you’re thousands of miles away. If you’re like me and looking for other ways to get involved, here’s a simple one: buy music. A Sony distribution warehouse in North London was destroyed by fire, and the stock loss is affecting numerous independent labels. The Quietus has put together some recommendations for great purchases, and also gives a full list of the labels affected by the fire. Here’s just a small handful: Pias, Rough Trade, 4AD, XL, Domino, Willkommen Records, Sub Pop, Secretly Canadian, Drowned In Sound, Kitsune, Dead Oceans, Asthmatic Kitty, Polyvinyl, Thrill Jockey, Drag City, Jagjaguwar, Gang of Four, Boomkat. It’s disheartening. Head over to The Quietus for their recs, and for sure head to your local record store if you can. “Following the dramatic news of yesterday and our note about how [PIAS] is carrying on its business, I feel I need to clarify and add on a few matters. The news broke through Twitter that the ‘[PIAS] warehouse had burnt out’. It is extremely important for everyone to understand that [PIAS] has no warehouse as such in the UK and that [PIAS] sub-contracts its physical distribution with SONY DADC in Enfield and it is their warehouse which unfortunately went down in flames. Many people called me to ask whether any of our staff had suffered from the blaze and if we were ok. We are. Thank You. As you have noticed in our last note , Sony DADC have been remarkably quick and efficient to put together a contingency plan that should allow us to ship to stores sometime next week. We are impressed by their efficiency and that is good news. These times are difficult for us, our artists, our labels and the whole indie sector which we vastly represent but we are determined to come out of this setback in the best way possible. The PIAS team has been working around the clock to limit the damage . We know that the livelihood of many talented, passionate and hard working music people, artists and small and bigger labels is at stake and depend on our actions and those of Sony DADC. We have been getting a lot of words of support and offers of help and that truly helps. This entry was posted in Uncategorized and tagged for folk's sake, kenny gates, london, PIAS, riots, the quietus on August 9, 2011 by kredcarroll.